If anything I consider myself a conservative shooter. I have always wanted a high probability kill shot and usually had the results to back it up. I have passed on many more running shots than I have taken. 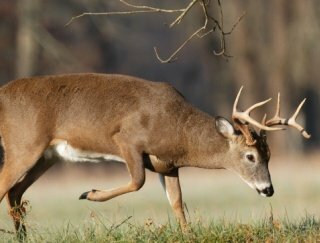 However I have shot and watched others shoot deer, I have come to understand that there is a time and a place when running shots are the only shot and a high probability shot for a calm shooter. The place is when the game is close and has to cross some open ground, and the time is QUICK and smooth. The other time when even more latitude must be taken is when game is already hit but not down. In this instance, running shots at almost any distance and angle should then be taken as long as safety still gets the priority. At close ranges and in tight quarters, a snap shot timed to hit the game in an opening can be deadly. How close is determined by the shooter’s experience. Inside of 75 yards would be the limit for most hunters. Expert shots can stretch the distance far beyond what the average rifleman should try, however running shots in the 30-100 yard range are quite hittable with good conditions. Please understand that novice shooters SHOULD feel uncomfortable with any running shot and pass unless shooting at wounded game. This is a learned skill and a strong sense of judgment is necessary to minimize the chance of wounding game. I would advise only heart and lung shots as they present the best target. As with any shooting, practice is the best teacher.